Humble Lawn of Wichita, KS has set out to provide superior residential and commercial landscaping and lawn services throughout south central Kansas. We achieve this by keeping the customer at the center of everything we do and treating every opportunity a customer gives us as if it were our own property. The company was founded by Michael McDonald whom is dedicated to building strong, long-lasting relationships with our clients. Humble engages the client on a one-on-one basis, to meet and exceed your expectations. 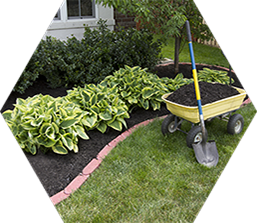 Humble will provide high quality, carefully selected plant material and landscaping supplies in order for your outdoor investment to thrive and flourish. We provide outstanding customer support with easy access and response time to customer requests and emergencies. We only employ skilled, trained, reliable and uniformed crews who deliver quality workmanship in a courteous and professional manner. Humble Lawn experts engage the customer and offer customized plans and direction based on your property’s needs. We also provide status updates and quality updates on a regular cadence to ensure your investment is protected BEFORE and emergency sets in.